any thoughts / view on why such a big divergence between Thyrocare and Dr Lal ? seems Dr Lal trading at almost 50XTTM earning v/s thyrocare at 28XTTM. apart from return ratios which are little better for Dr lal v/s Thyrocare what can be other considerations for Dr Lal getting such a premium over thyrocare ? just interested in understand and learning so asking as even after lot of efforts I am not able to understand. One reason i used to think for the valuation Gap was that Lal Path is more of a b2C Business and thus enjoy premium valuations. 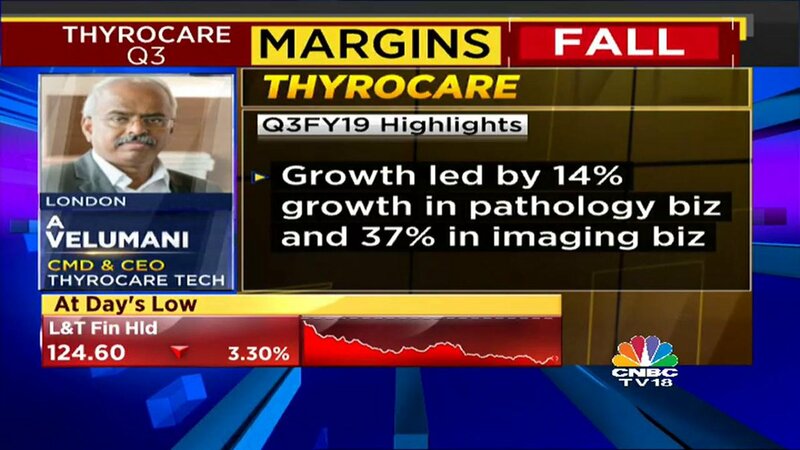 B2C is considered more profitable and should have higher Margins but if one compares Lal path with Thyrocare , it is thyrocare which despite being a B2b player , enjoys superior OPMs. That too after being the lowest service provider. Still figuring out how ? One possible reason for the divergence may be the better ROCE for Lal path as well as high growth rate compared to Thyrocare. Also , thyrocare has cut down prices for some of the tests despite claiming to be lowest service provider citing reasons of increasing competition and delay in shift of business from Unorganized to Organized. Management is not that bullish for next 1-2 years as they feel industry is going through consolidation and facing threats from lot of PE Players . While Lal Path management sounds more bullish. So may be market is discounting that too . Management despite assuring good growth is not delivering on actual from long. Looks like they are facing lot of competition despite claiming to be lowest service provider. Definitely a reason for low premium valuations as compared to Lal Path. Lal Path showed decent growth both on quarterly and 9M basis. I believe that the management should spend more time in business than attending different investors events. Disc: Invested , will remain so ! I fully agree as have felt they seems to be focusing bit more then rest of the lot in keeping analysts / investors event all across the world . I remember in one of the results calls chairman was discussing on share price movement saying don’t know why it’s not going up etc. Have few friends who are doctors ,their view was Thyrocare don’t give any referrals to doctors which others give so doctors aren’t recommending Thyrocare for tests etc. Also his view was he has found them rigid ( may be because they don’t get extra referral money ) etc. Doctors do not go for Thyrocare because the chief promoter, Mr. Velumani, says it does not do the general tests. In that way it is different from Dr.Lal pathlab. It is into healthcare testing but at affordable prices. It does not do testing for Viral fevers, for ex. It does whole body check up. Need to get into the details of that. But, I think it is not completely comparable to Dr.Lal pathlab. Thyrocare wants to be B2B. It wants volumes, hence wants local outlets to handle the hassles and haggles of individual costumer. Is margin compression a Indication of the ensuing tough competetion ? While Dr. Velumani has himself acknowledged the competition, do we have a fair idea about how low with these margins can go ? Promoter has bought back at a price greater than CMP. This surely shows his confidence in his buisness. Disappointing result! 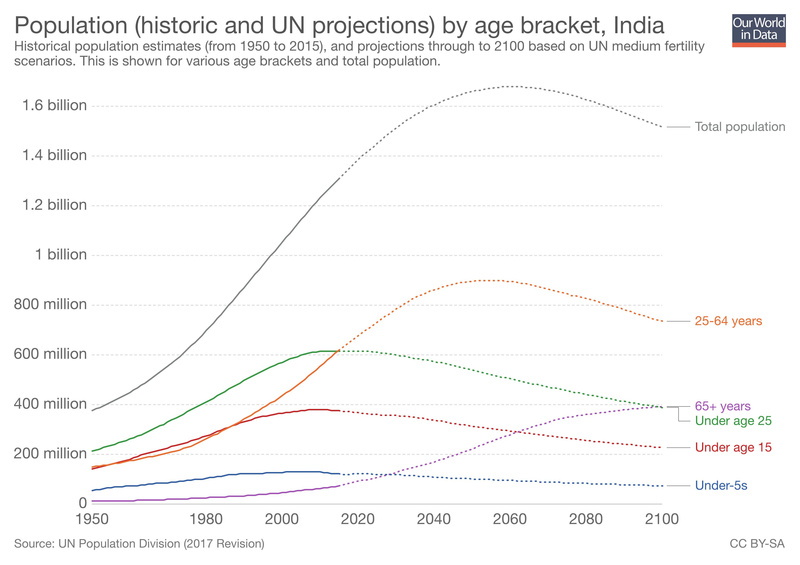 There is some top line growth, that is all. Mr.Velumani has been talking about diluting margins for growth but it has taken about 500 bps reduction in margins for retaining the same profits. This is a running to stand still situation which is a very unpleasant one to be in as a business. Technically it has broken down and is looking like a falling knife that has just slipped out of the hand. Well I like to simplify. I know some people will be sceptical of doctors vested interest but he said that either do it from Dr Lal or hospital both follow same standards. Somebody who is earning 80lpa isn’t going to care about kickback on a 1000rs blood test. He just wants what’s best for patient. Promoter is so desperate that he appears not only for investor carnival but even trader carnival. What do traders have to do with thyrocare blood tests?? Yes I am aware there are three different pe funds invested in it but this is India and from my experience as a consultant in infra PE space, investment managers can be bribed to make bad investments as long as they can flip it out. Sorry if this is coming as a strong opinion post but remember if thyrocare tests are faulty then people’s lives are under threat which is a whole different ball game than another pump and dump. I second some of these thoughts. I had similar reaction about the promoter when I see him appearing every now and then to market (milk!?) his rag to riches story. That is all known and he must execute what he has been promising after IPO. I am not sure why… not one but 3 docs in our extended family suggested not to invest in Thyro. I thought they might have vested interests but two of them run their own clinic/mid-size hospitals and hardly care about small change in commissions. I have started to believe that not everything is ok here. Pathology results of even good quality hospitals go wrong so occasional miss in quality is fine. An experienced doc would always suggest a repeat test if he/she is not convinced. I would give another stats for whatever its worth … a small unbranded lab shares upto 40% of commissions with the doc who writes the prescription. Dr. Path Labs and some others share 25-35% depending on their locations but Thyro only gives 15-20% commissions. I can’t prove but these are informal rates in a particular state. I am not sure if quality is bad but when docs stop trusting these reports it is very difficult to make it big in this sector despite following better ethical practices. An investor can’t fight the whole market even when the promoter is okish. @james_kerala Thanks for clarifying. Had removed the earlier post due to no value edition ! Can you elaborate a little on this front. I see a lot of Promoter’s holding is in Individual’s name . I too used to think about twitter users complaining but i think the numbers of user complaining is not that significant and such issues are also there with Lal Path too. Moreover B2C is 21% of overall business. People hardly appreciates for Good Service while start complaining on even a small issue. Promoter’s participation on such platforms is definitely not helpful for the business. In fact i raised that on twitter. I asked Promoter to stop Participating in such events and give more focus on business which is slowing down but what i got in return was a BLOCK by Mr. Velumani. He is admired all over about his simplicity but it seems he could not even handle a little criticism. I have seen real rags to riches stories and Mr velumanis one from a landless farmers son to 2kc networth is beyond suspect. There is little to doubt on this. Thyrocare is a 2500 Cr brand with majority of holdings with Mr. Velumani. There should not be any doubts on the books of the company as most of the profits is shared as dividends and the recent buyback without participation from promoters. I think that if the dividend would been announced , we could see less fall. In today interview with CNBC , he told about the cuts in prices by 15% which affected the performance. Though , i am unable to understand most of the things he explained except that this year will be poor and will end with 15% growth only. He is saying that he has started some disruptions and results will be visible in next FY. I suggest , do check his past interview he keeps giving new stories every time he comes for an interview , even if you see his response during last concall (Q2,FY19) and what he said then and what he said now is very different. 3 months back he was expected 20-25% growth and now this. I don’t doubt his integrity and feel he is honest man. however he is loosing focus on business it seems as he seek too much lime light all the time. I hope after he experiencing the performance of his stock he do some reality checking instead of coming up with different stories for every interviews. I am holding it and will continue to hold for another 2-3 qtrs. at least only because I really feel his honest man whos got carried away with all the lime light that hes got and has lost focus due to it ……Hopefully after all this and more he may do some reality check. Even few doctor friends of mine has said so that thyrocare reports cant be trusted and are not reliable , they are from south Gujarat region where Dr lal isn’t present so they were suggesting that Metropolis or SRL are far more reliable when it comes to accuracy of test results. they also hold Dr Lal but are not interested in Investing thyrocare due to this perception. Not correct. I too thought earlier they didn’t support fever. Thyrocare has a fever profile and a fever plus profile to detect advanced illnesses like dengue, chikungunya et al. I have availed this and got a pretty accurate diagnosis. I have to admit that the fever/fever plus profile isn’t easily discoverable on their platform. Personally for me it is pretty hard to determine who’s a ‘good’ doctor and who isn’t. Also there’s too much vested interest involved. My strategy is to trust science and data. Medical diagnosis is based on biomarkers and a reference range to determine what’s normal and abnormal. If I can verify Thyrocare’s disgnosis with the person’s symtoms using a little bit of Google search, I feel more confident. I would only go to the doctor to confirm the diagnosis or if the symptoms do not subside. I know you may find this risky. I have the advantage of having medical professionals in my family as well, eventhough I wouldn’t use them to develop my primary hypothesis. Simply put, a Thyrocare diagnosis would fit very well into my strategy to confirm symptoms and develop a hypothesis. Please note, I order a profile or a test battery and not just a single test. This is something a doctor does anyways. I’d only go to the doctor to confirm/not confirm this. The latter is harder for me because I have to first determine who is the best doctor and then fix an appointment and go over there. Thyrocare comes home, gets my bood/urine sample and gets me the report the next day. I can easily do a little google search and verify this on my own. Dr. Velumani’s background as a nuclear physicist provides me added reassurance about the accuracy of this diagnostic model. I’ve tested the reports in local lab and found it to be accurate. Disc: Not invested but looking to add when the PE makes more sense. Recollecting one of his interviews, he said common fever testing is not his focus because it has too many hassles, from a business point of view. He wants to go for the bulk, where there are volumes. He said, to the effect, that with volumes his cost will become drastically low, increasing his moat. Thence, the entry barrier for new comers, who keep popping with a few lakhs to several crores, will be very high. He wants to become an insurmountable force in the industry. By having volumes, and hence low cost. He is willing to sacrifice margins for volumes. Logically, once he develops a brand, which comes with volumes, he will flex the pricing power. But, now only volumes is his focus. Therefore, in the quarterly numbers sales will increase, but profit will fall. Tough time for investors. Current OPM is 40% ROA is 20%. These are high numbers. There is plenty of room to trade these for volumes. People criticize his constant media presence. But, he comes across as honest, ambitious and a man with a plan. I do not understand how test reports can be muddled. It is a standard mechanized procedure. Not rocket science. There might be some teething issues, in the logistics, which I think the management is on top-of. Moreover, this business spits plenty of cash, so there is no reason to expect anything short of the best machinery in their labs. In fact, I would distrust the small guys. Totally agree. If I were to use a IT Cloud like jargon, he’s built what I would call 'Diagnostics As A Service (DaaS) which looks extremely scalable to me. If I recall right, the Thyrocare model already has achieved the lowest cost per test thanks to the asset light hub and spoke model. However the accuracy of the sample sent to Thyrocare also depends a lot on in what condition it reaches the lab. Other than this important vulnerability, local labs do not stand a chance. Its best that they outsource the diagnostics/testing backend to Thyrocare themselves, rather than invest in hi-tech equipment. **Q3FY19 Thyrocare Earnings Concall notes. I have tried my best to take the notes accurately but please refer to recording for verification of the numbers. Dr. Vellumani mentioned that there is no concrete way to guage the growth of market/industry. Rule of thumb is self growth rate minus 2-3%. Thyrocare has grown revenue at roughly 13% in 9 months and hence industry would have grown at 10ish%. Not easy to assess the size of the market because almost 80% of the market is unorganized. Management has belief that it has overall 3-4% market share. 20% organized market share. Plan is to add more clients (local labs) with the help of added workforce, increase the network, and help more people take benefit of price reduction which should increase the volume. Planning to open new RPL in Chennai in Q4. Would open 3-4 RPL every year based on demand. 50% of the current machines purchased from vendor. With this purchase, vendor to provide more discount on reagent. COGS will go down and Depreciation will go up. Net effect is increase in EBITDA. Purchasing machines made more sense as the company was having cash. Life of machine is 5 years but will be depreciated fully in next about 3.5 years. Were handling B2B clients through appointed franchisee. Retention and stickiness of clients depends on the service that this franchisee provides. Now Thyrocare is reaching out to the B2B clients directly by appointing field agents. So hoping to give better service and with new price cuts (removing franchisee layer) directly to the end client, it should help to gain more volume. Goal is to have 5000 franchisee total by end of 2020 from currently around 3000. Revenue from online aggregators is part of DSA portion and forms around 5-6% of topline. Thyrocare charges them B2B rate. Have taken price cuts in this segment as well as company wants to attract more DSAs. Total capital employed so far is around 100cr. Disappointed growth in imaging business. More supply than demand. Most in market are making loss but still new investments are coming in. One more machine in next quarter. And no investments in FY20. Will understand business and profitability and then take a call on further investments in imaging business. Have total 15 scanners. Goal is to reach 12 scans per machine per day. PAT positive at 12 scans per machine per day and EBITDA positive at 8 scans per machine per day.